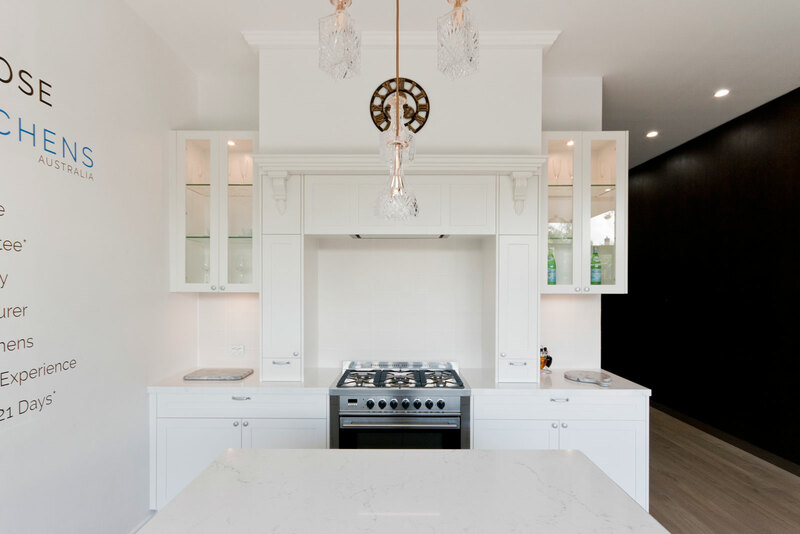 This french provincial kitchen is a modern adaptation of an old classic. Detailed shaker doors give the space character while adding a touch of class and sophistication. 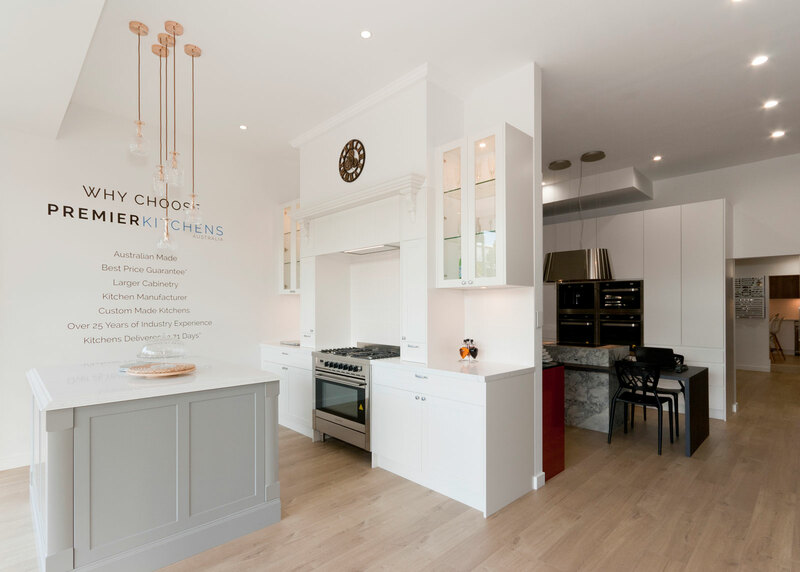 Glass inserts on the overhead cabinets allow the owners to personalise the space, using coloured or decorative kitchenware or glassware. 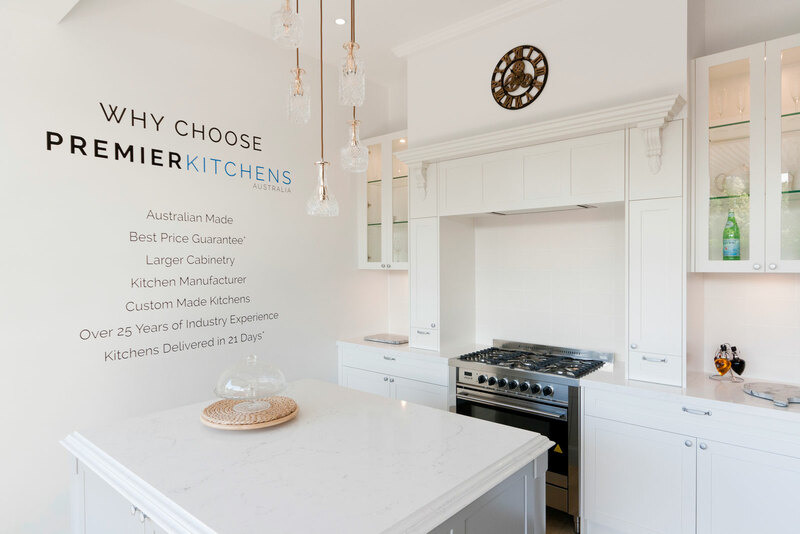 This kitchen is currently on display in Premier Kitchens’ showroom at 54 Penshurst St, Willoughby.